Is it really possible to recover from back pain without visiting a physio in person? Life with back pain is no fun. Whether you’re learning to manage pain for the first time, or it’s something you’ve been dealing with for many years, the road to recovery can often feel like a lot of dead ends. Though it can be very tempting to avoid moving when you have low back pain, the evidence shows that staying active is actually one of the best things you can do to recover (to read more on this, check out our blog 5 reasons the Reach exercise approach to back pain works). The good news is that staying active with targeted back pain exercises is something you can now easily do from the comfort of your own home. Though back pain is extremely common, it’s also entirely unique to each person. In order to get you set up with a back-pain recovery plan that suits your symptoms, lifestyle and goals, we first need to dive into your individual circumstances. That’s why the first step of your Reach journey starts with a full physiotherapy assessment. Just as you would do with a traditional physio assessment, we’ll ask you a series of questions to understand your pain in more detail. During this initial assessment, we’ll also ask you to do a few simple movements. The answers you provide will help us to determine an individual course of action for your back pain. It will also help us to make sure that there’s nothing more serious than general muscle or joint pain. If we have any doubts that this might be the case, then we will advise you on the best course of action. Recovery from back pain means different things to different people. For some it might be the desire to be totally pain free, for others it might simply mean being able to run for the bus. We all have our own targets, so when you get started you’ll be asked to set a specific goal. 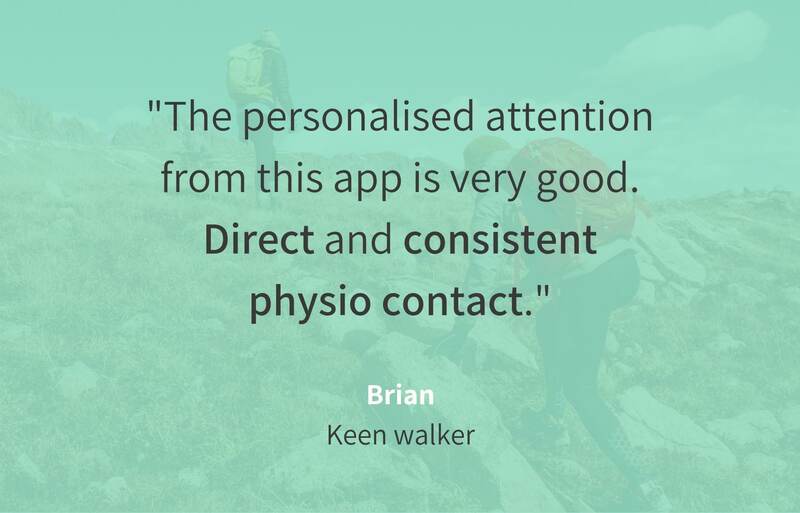 Just like you would with an in-person physiotherapist, we’ll track and measure your progress throughout your journey, so you can monitor your recovery back to super you. No matter how big or small your goals are, this is an important steps that will help us craft a recovery plan that’s tailored to getting you wherever you want to be. It’s normal to be a little afraid to do exercises without a physiotherapist there to guide you. 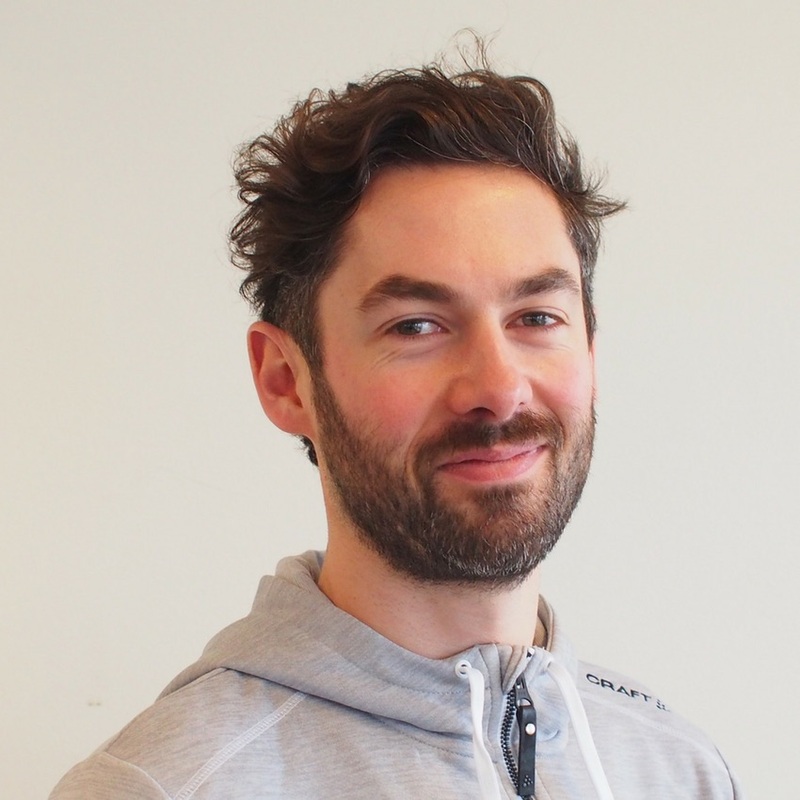 So with every workout program, you’ll have access to detailed exercise videos where our head physio, Andreas, takes you through exercises step-by-step. You'll learn how to perform exercises with good form and technique before starting a workout. All you have to do is press 'start workout’ and follow along. You have the choice between full or quick workouts, or you can do an extra push by completing both! So whatever your day throws you, you’ll have flexible recovery exercise options to take the next step towards your goal. After every workout, you’ll be asked about your experience. This is where you can let your Physio team know if exercises are too easy, too painful or perfectly fine. 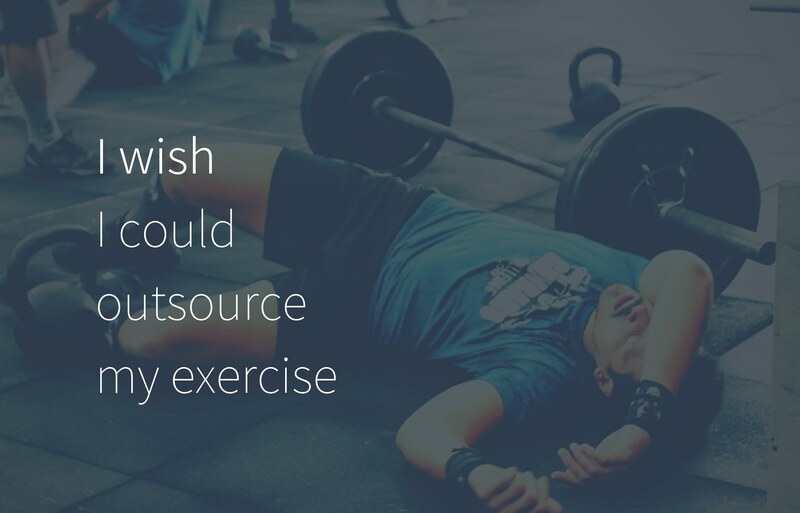 We’ll switch and edit your workouts based on your feedback. This is to make sure that the exercises are not causing too much pain whilst being challenging enough to help you progress. We keep advancing the plan as you get stronger to make sure you keep improving, and to minimise the risk of a recurrence of back pain in the future. Though you won’t have a physical check in with a physio, the Reach physio team is by your side every step of your journey towards overcoming back pain. We’ll check in every 3-6 workouts with mini-assessments to evaluate how you’re doing. If you need anything in between these check-ins, our physios are also available to chat with 24/7. Having such direct contact with a physiotherapist is something that has been almost impossible to achieve in the past, and is one of the most powerful parts of the Reach recovery method. We know that your questions and uncertainties arrive at unexpected moments when you’re out and about living your life. With Reach you no longer have to wait to get the advice you need to carry on living fully. We’re right there with you, at the touch of a button. We’ll drop you a line every now and again to make sure you’re on track, but feel free to reach out anytime you have questions, no matter how small or big. So, is it really possible to recover from back pain without visiting a physio in person? A key way of recovering from back pain is to stay active with targeted exercises. So recovery from back pain is absolutely something you can achieve without seeing a physiotherapist in person. During your time with Reach, we’ll work with you to develop the confidence you need to stay active at your own pace, in a way that suits your lifestyle. We’ll also support you with ongoing educational material to make sure you fully understand what’s going on ‘under the bonnet’ of your pain. You’ll get access to new educational material at checkpoints throughout your road to recovery so that you can make informed choices about how best to deal with your symptoms and keep progressing. So whether that’s exercises you can work into your gym routine, or simple movements you can do from the comfort of home, you’ll get all the support you need to manage pain and trust in your recovery. It’s time you got back to doing what you love. Start your road to recovery today with Reach. Many medical interventions for back pain are not supported by evidence. Here’s how the Reach approach is different.